With its most premium machine yet. 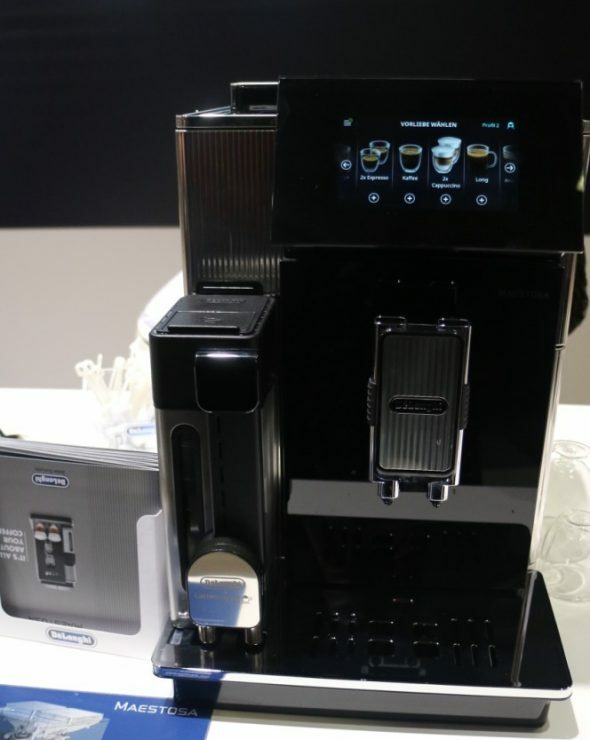 De’Longhi presented a number of new product innovations on its booth at IFA in Berlin but there was a particular focus on coffee with the unveiling of its first semi-professional manual pump coffee machine, the La Specialista. De’Longhi also introduced a new premium fully automatic coffee machine, the Maestosa, due to launch in Australia in 2019. A machine that will completely redefine what the top of the line coffee machine is for De’Longhi, according to marketing director, Raniero Miccoli said. “From a pure design perspective, we have pushed to the next level in terms of the look, feel and finish of the machine,” he told Appliance Retailer. “From a functionality perspective, the key point of difference is the double grinder so users can select two different types of coffee beans. It also has a double boiler to achieve the right temperature for the coffee and for the milk. “We have also introduced a swivel arm that allows consumers to make two milk based coffee recipes, such as a latte, at one time. Consumers can now also top up the milk and water at the machine rather than removing the whole tank to refill it. “The touch screen display is more intuitive and smartphone connectivity means users can control every single aspect of their coffee recipe including the level of foam, strength of aroma and coffee temperature. “Our portfolio in the fully automatic category is already very strong but we need to relaunch our top end of the range and the Maestosa will give us undisputed dominance in the category. This is a very exciting launch for us because there is nothing else on the market that delivers this kind of innovation,” he said.